Home » Bali Property » Bali Property Ownership: Can Hak Pakai Be Changed To Hak Milik? Depending on the acquirer and the purpose of the land acquisition in Bali, it might appear that certificates need changing. For example, if a foreigner is planning to sell land with Hak Pakai status and would like to change it to Hak Milik, then the certificate needs to be adjusted. 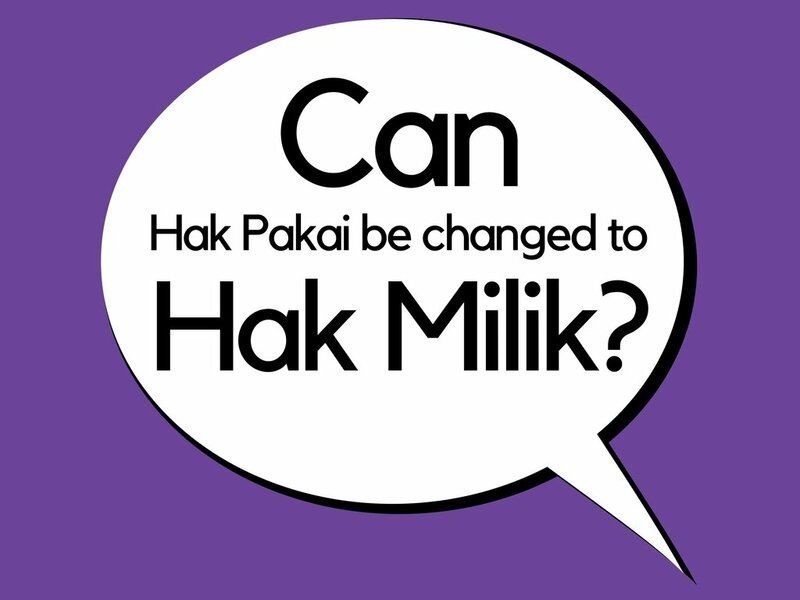 Hak Pakai is the right of use over state-owned (crown land) or property owned by public or private persons/entities for a specific purpose for (generally) a finite period. Please read this article to find out more about Bali Property Ownership structures. Hak Milik can be granted over a Hak Pakai land title, which is used as a residential property by an individual (Indonesian citizen) with land size of 600 m2 or less, based on the request by the person who holds the Hak Pakai title. This is as stated in the Decree of the Minister of Agrarian Affairs / Head of BPN Number 6 of 1998 concerning the Granting of Ownership of Land for Residential Homes (“Kepmen No. 6/1998”). Prepare the original certificate which is to have it’s status changed since the original certificate is the most important document. You will also need several photocopies of certificates for backup. Building Permit documents are required as evidence of the legality that land is used for a residential building. In addition, a letter from the village head is required, stating that the building is/will be used for residential purposes, if the building permit has not been issued by the authorized institution. Specifically for land size of 200 m2 or more. Proof of payment of SPPT PBB tax is required to see the track record of payment of taxes and conditions of the land, such as the land area and the extent of the buildings affected by taxes. You need to attach a statement that specifies that the applicant will have a SHM for no more than 5 parcels of land entirely or one SHM for a land parcel, covering a total of not more than 2000 m2. This statement form which is provided by the BPN, may be collected at the local Land Office. This is to meet the requirements stipulated in the Decree of the Minister of Agrarian Affairs / Head of BPN No. 6 of 1998 concerning the Granting of Land Ownership Rights for Residential Homes. However, things maybe different in reality. We strongly suggest that you seek advice from a notary or lawyer regarding the costs involved. As we are not qualified legal advisers, we can only provide general information. For those wanting full legal advice, one needs to acquire the services of a qualified legal adviser.